TeleScience offers entry-level telescopes aimed at children and beginner astronomy enthusiasts. These refracting telescopes use the same technology Galileo used to study the stars. The lenses of refracting telescopes collect and magnify the light from distant objects. TeleScience telescopes include a tripod and in some models a diagonal mirror to make it easier and more comfortable to use, especially for overhead star gazing. Typical magnification power for a TeleScience telescope ranges from power lenses of 10 to 40 magnification. Unpack the telescope and the tripod. Telescope components are fragile, so handle them with care. If your model includes a diagonal mirror, connect it to viewing side --that is the narrower end-- of your telescope. The diagonal mirror will allow you a more comfortable viewing position. Choose a location for star gazing without tall objects like buildings and trees that could obstruct your view. Erect the tripod by extending the three legs. Check that the tripod is stable. Connect the telescope mount to the tripod. In some models the mount is permanently fixed to the tripod. TeleScience tripods come with an Alt-Azimuth mount, which allows you to rotate it along the horizontal and vertical axes. Aim your telescope at the area of the sky you wish to look at. Start with easy targets like the moon and familiar constellations. Look into the telescope's eyepiece and enjoy the view. Telescopes advertising high magnification powers of 400, 600 and so on are misleading. The limit for a refractor telescope is a magnification of around 60 per inch of aperture. 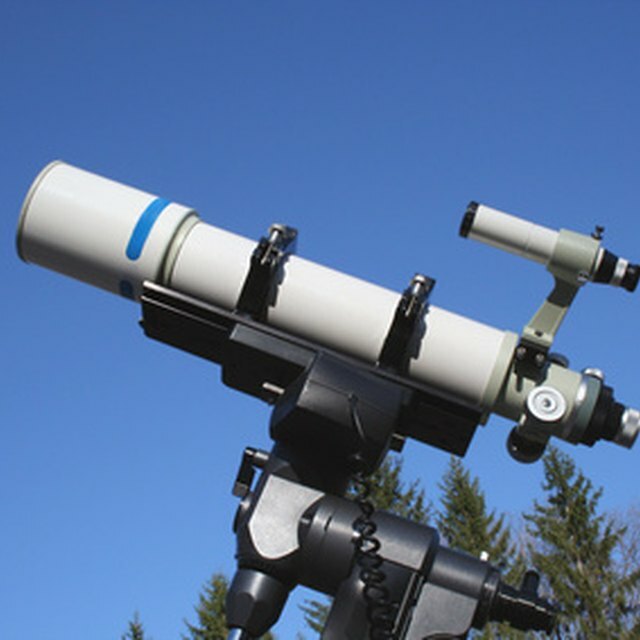 However, even small refractor telescopes, such as those manufactured by TeleScience, are good for observing the moon, the planets and some of the larger star clusters. Latham, Andrew. "How to Use a Telescience Telescope." Sciencing, https://sciencing.com/use-telescience-telescope-7521350.html. 24 April 2017.